It’s a shame that they didn’t include the flower in this vintage orchid plant drawing, but I suppose that just makes it more adaptable to your own creative ideas. The drawing dates back to an 1864 gardening manual by Thomas Firminger. It was commissioned or supported by the Federal government and is therefore in the public domain. The manual explained the unique growth habits of orchids and how they have an air root. Their roots have to be able to breathe and should never be planted in soil. 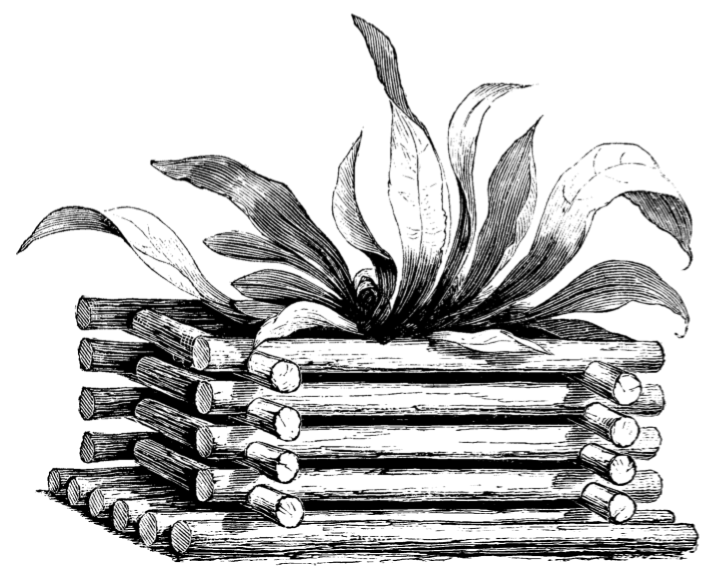 The wooden frame in the orchid plant drawing is very similar to orchid planters being used today. Although there’s no flowers, this orchid plant drawing would work great as a coloring image. However you put this drawing to use, have fun and do your own thing.